Have any questions? Call us today for more information on: 0800 666 444 now! Yes, I would like to receive marketing communications regarding SEH BAC products, services & events. By submitting your details you confirm that you agree to the storing and processing of your personal data by SEH BAC as described in the privacy statement. Loggias take their inspiration from Italian Renaissance buildings and combine this with modern British techniques creating a unique space. They create the ideal middle ground between an extension and conservatory. 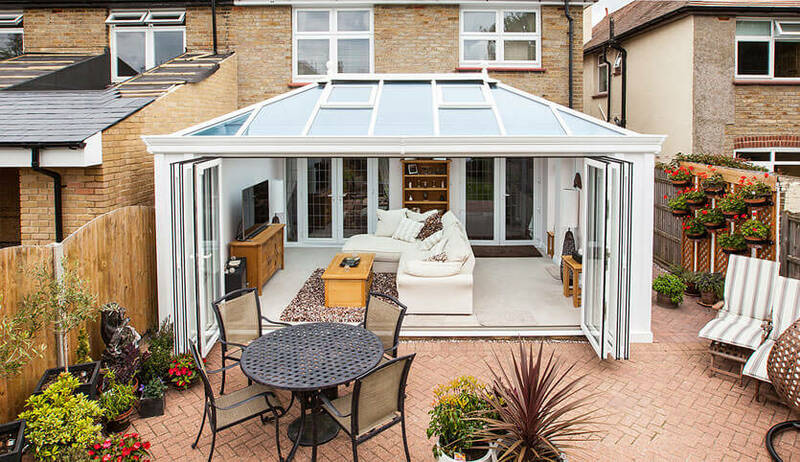 Enjoy the benefits and qualities of a stylish extension without the hassle and at a more affordable price. The Loggia was originally a roofed gallery or recessed room open to the air on one side. This design has been developed to suit our climate. 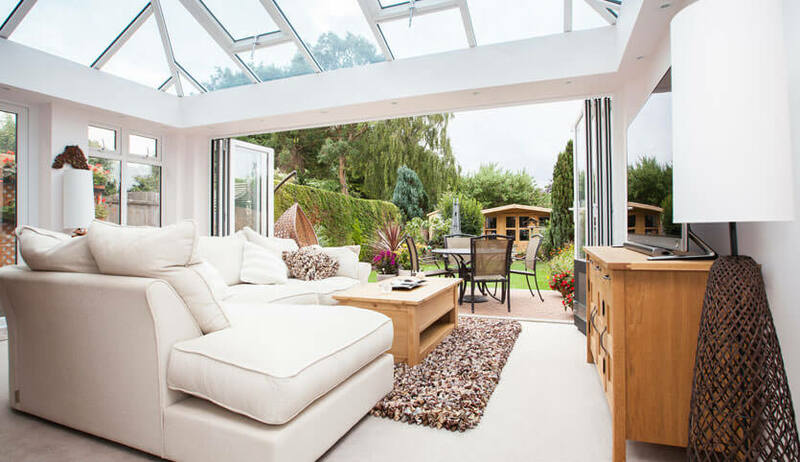 It gives you a space that feels more like an open plan room rather than a conservatory. 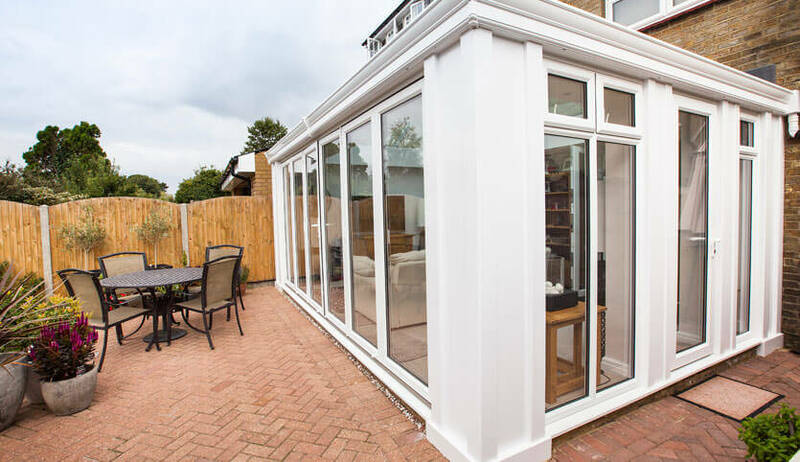 With insulated columns, they have a more permanent feel compared to a traditional conservatory and will keep you warm all year round. Loggia’s are open and bright rooms that feels like an extension of your home in a seamless and effortless way. With an innovative design, you save on energy usage and enjoy a room just as energy efficient as the rest of your home and comfortable all year round. 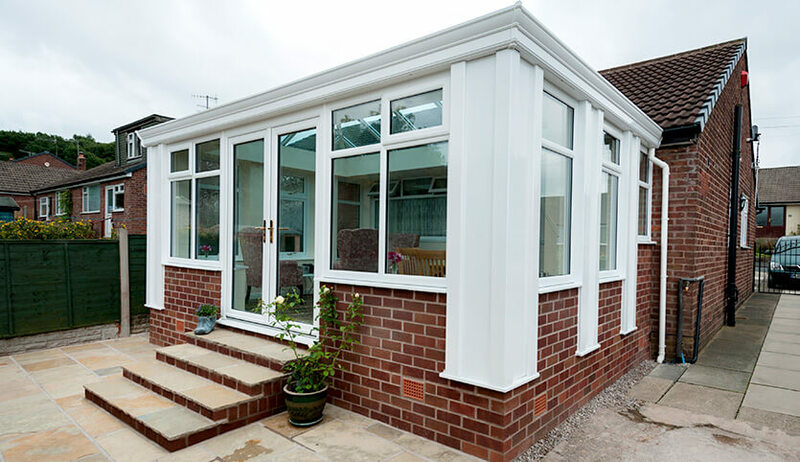 A loggia can use less than half the heat energy of a similar sized conservatory, helping keep your energy bills low. Customisability – our loggia range is available in aluminium and uPVC – each has its advantages and suitability; it all depends on you. A great range of colour options – from Classic White to Urban Grey, we’re sure to have a colour option to match your project’s requirements. Our aluminium loggias are coloured with cutting-edge powered cladding in a range of hues. 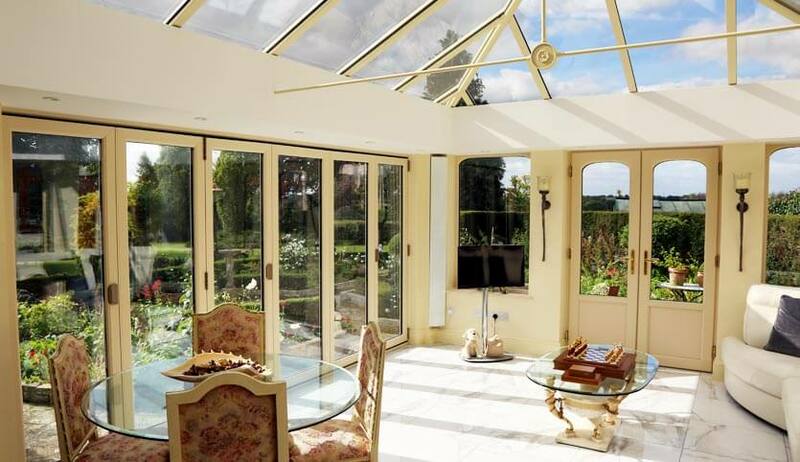 Self-cleaning glass – We offer self-cleaning glass on a range of products, including loggia conservatories. To function, the material needs plenty of light and water, making it ideal for conservatories and other weather-facing fittings. More versatile use – Unlike most conservatories, loggia conservatories are part traditional plaster walling. 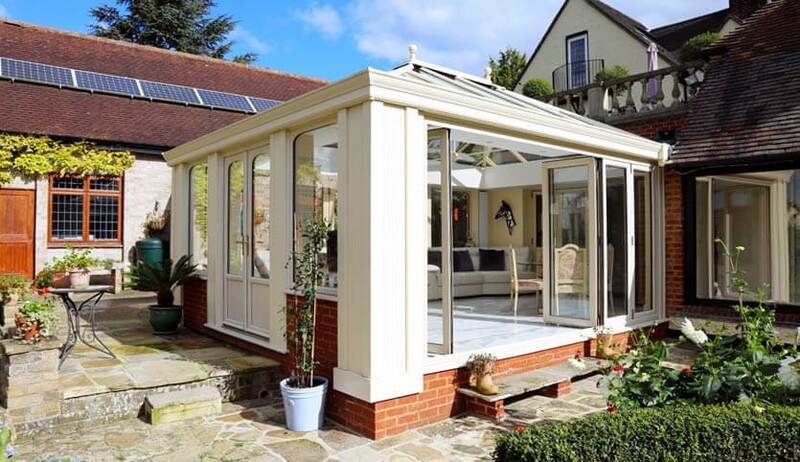 For this reason, they are more robust, and are considered a halfway point between a conservatory and an extension. Our modern and stylish Loggia Conservatories are available in uPVC and aluminium to allow you to choose the best material to suit your home. Created with modern uPVC to create the perfect year round living space. Smooth slimline aluminium frames help to maximise natural light intake and improve efficiency. 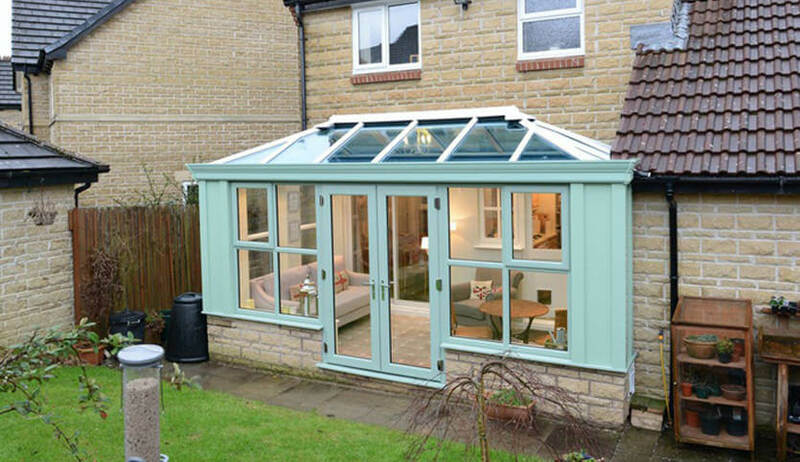 Customise your conservatory with our range of smooth and woodgrain effect coloured finishes. The most popular choice, offering high levels of thermal and sound insulation. We have gained the knowledge and experience to provide you with exactly what you need. Our staff are expertly trained to guide and advise you. We offer you a 10 Year Guarantee. Authorised and regulated by the Financial Conduct Authority. SEHBAC Limited, 1 Olympus Close, Ipswich, Suffolk, IP1 5LJ act as a credit broker and not the lender, and offers products from a range of financial providers. Credit is subject to application and status and available to UK residents aged 18 or over.